Great service! Everyone at the facility was very kind and helpful, and the wait time was not long at all. He is a great doctor with alot of knowledge. Super experienced, Dr. LoBianco and his team made me feel extremely comfortable. Booked appointment and confirmed almost immediately with check in forms already printed when I got there. Dr. LoBianco is so kind. He has a great sense of humor, and he's also incredibly professional. I'm lucky to have him in the neighborhood! This is the second time I have been to Dr. LoBianco and both times he was extremely helpful and diagnosed my sickness the correct way. I would recommend to anyone!! He is always very helpful and pleasant. Doc is the most personable person, takes time to talk with you. He cares. Dr.Anthony and the staff here are very nice , caring , and professional. They wait time is extremely short as soon as you walk in there is a very clean and tidy waiting room for patients to sit and once yousign it within a few minutes you are seen , so glad I found this doctor on this site !! Doctor LoBianco and his staff were AMAZING I left feeling so much better than when I came in I was treated with respect I was listen to I Was Heard and I received the best treatment with Doctor LoBianco he's oneof the best Doctors that I've ever met I'm GRATEFUL!!! Don't know what I would.do without them! Doc always takes the time to listen to everything you have going on. He never rushes you and he always makes you feel like family. Doctor was fine and got the job done but just a heads up for those who feel strongly, the waiting room TV was set to Fox News. If I had known that in advance, I would have considered other options. The doc is a very pleasant guy, and he is training some really bright young interns. Dr.Lobianco is a very skilled,knowledgeable and experienced doctor.Five stars and then some.If you're looking for a doctor then Dr.Lobianco is the one for you. Everyone in the office was very nice. They listened to me and did not rush me through to be finished. THEY JUST DONT MAKE THEM LIKE THIS NO MORE,ONE OF A KIND DR. LOBIANCO. He and his son are so congenial and helpful! They’re also very patient and accessible. It’s run like a family business and I really appreciate the care and service I’ve received there. I would definitely refer people there. Thank you and I look forward to seeing you again next time! very professional and knowledgeable. excellent Doctor. Dr. LoBianco is a sweetheart with great bedside manor. A medical student took my vital signs and history with him and he was just as genuine with his student as he was with me, which is always very nice to see.The wait time was brief and you could tell a community of locals are likely loyal to this doctor, for obvious reasons. I look foreword to my next well visit. Every one was very professional and courteous. One of the new employees who was asking me question and checking my ears, eyes, and other things could have brought his stuck up attitude down a bit. Besides that i would definitely go again. Dr Anthony LoBianco is the best doctor I ever had! Great service everytime I go!! Appointment, as usual, was an excellent experience. I was led to the examination room at the exact time of my appointment. I did not feel rushed, all my questions were answered and recommendations were discussed. The doctor and a medical student(who was assisting and observing) put me at ease while conducting a thorough exam. Dr. LoBianco listened to my description of symptoms and provided a recommended approach. I hate going to the doctor, but Dr. LoBianco’s attentiveness and reassurance made my visit an extremely positive experience. Would highly recommend! 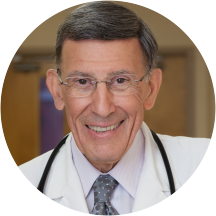 These types of doctors, like Dr.Lobianco are few and far apart,the ones that listen have endless patience,when you leave there you feel like you got something done for yourself. I probably only had to wait a few extra minutes because I was running almost 10 minutes late myself, so I’m thankful they accommodated me. Dr. LoBianco and reception are lovely and I can tell they work very hard to take care of their patients! Dr. LoBianco has been my primary physician for what seems like my entire life. During all of my health insurance changes I've always made sure that he was in my network. I refuse to go to another Dr. He is a God send. I will always refer him. Dr Lobianco is an awesome doctor that truly cares and listens. He never has rushed me out of the office and is always very kind. he also is a master at taking blood...no pain at all. I’ve been coming to him for 5+ years and will keep coming! It was great. No wait this time. I used to wait for 30-40 min but with the online appointment I was seen right away.